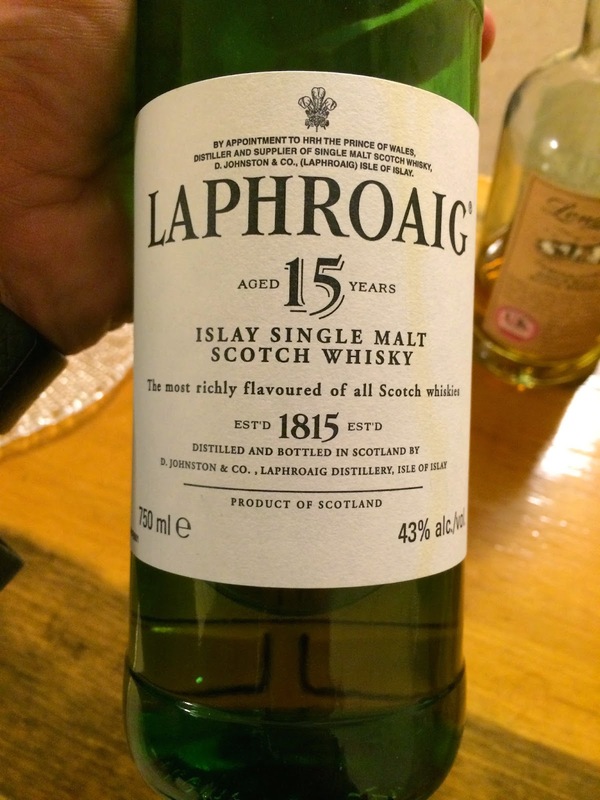 Laphroaig 15 yo (old release) (43.0%): Perfect timing..! Right when Laphroaig officially announced their limited-time only new 15yo expression as part of their 200. anniversary I pulled out my sample of long-time gone but never forgotten old Laphroaig 15yo. Soon enough everybody will start to discuss how the old and the new releases compare to each other anyway. It is a comparison that most probably will end up in a familiar, sad and nostalgic contest where "the new release" has no chance to win whatsoever... Let's try to be fair, objective and definitely not nostalgic (which I feel that it is getting considerably harder and harder when I am aging but...) and taste this dram before I have a chance to taste the new release. My 50cl sample is saved from a bottle Dave Russo graciously shared with us in one of our tastings a few months ago. Color: Medium amber, orange blossom honey with visible slow moving legs. Nose: Green asparagus stalks on the grill and charcoal. Diving mask and snorkel dried under sizzling sun with dried sea salt stains all over and salted kippers. Iodine tincture and Belgian endives. Hint of sulphur... If I had a dog and if we had a long walk at the beach on a cold Fall morning I think it would most likely smell like this. With water it gets sweeter. More sulphur and iodine. Now I can feel that medical cabinet I was talking about before wide open in front of my face. Palate: Oily and mouth covering... Bitter notes first: fresh walnut halves with their skins on, pipe tobacco and dry hard wood. Cinnamon sticks and allspice. Burnt matches, cigarette ash. Water thinned the mouthfeel but didn't add a lot to the palate. Maybe some bananas and pineapple at a distance. Finish: Woody and dry. Soot and black pepper notes. One of those +90% super bitter dark chocolate bars. Overall: Hmmm, mixed feelings... It tastes like an odd single cask. Interesting for sure and I would definitely be more indulgent if it was a single cask from an independent bottler we never heard of (Aren't we all?) but it is a little out of phase I have to admit. I remember this whisky being a favorite of mine but now I sure didn't go crazy about it, weird... I think in years we gradually got more and more spoiled with every new release of Laphroaig: Quarter Cask, PX Cask, Triple Wood, 18yo, Select... Actually it's the same case with any other distillery nowadays. 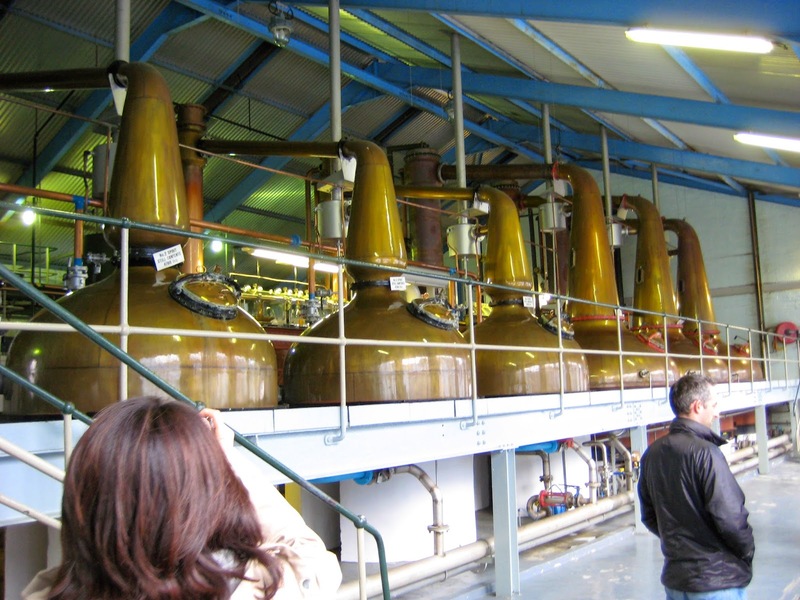 Whisky industry changed for sure and transcended immensely within the last decade. And we as consumers got used to it pretty easy. Our expectations are higher than ever and we always want to be amazed with every new release. I am not quite sure if it is a healthy thing or even fair but that's how it is. Now of course I am more curious than ever how the new 15yo will be like. Cannot wait to taste it very soon. Bring it on Laphroaig..! Thanks again to Dave Russo for the sample.